Mumbai doesn't have as many historical monuments as some places in India, but its diversity more than compensates. You'll find everything from beaches to Bollywood. Don't miss these 12 attractions and places to visit in Mumbai for a memorable trip. If these attractions aren't enough for you, check out these 101 Places to Visit in Mumbai! Mumbai's most recognized monument, the Gateway of India, was constructed in 1924 to commemorate the visit of King George V and Queen Mary to the city. It's also where the last of the British troops departed, marking the end of British rule when India gained Independence in 1947. The looming Gateway is designed to be the first thing that visitors see when approaching Mumbai by boat. It's a popular place to start exploring Mumbai. These days the atmosphere around the monument resembles a circus at times, with numerous vendors peddling everything from balloons to Indian tea. Location: In and around south Mumbai. Banganga Tank is the oldest continually inhabited place in Mumbai and provides an exceptional opportunity to be submerged in the history of the city. Yet, many locals aren't even familiar with it! The sacred water tank is flanked by a narrow street lined with temples, homes and dharamsalas (religious rest houses). Hindus believe that walking around the tank on foot has immense purifying benefits. It's worthwhile spending some time simply sitting on the steps and absorbing daily life there. Dabbawala, meaning a person who carries a container, is the term given to the thousands of men responsible for transporting and delivering around 200,000 lunch boxes of freshly cooked food to the city's office workers every day. This unique concept was started to meet the needs of British rulers. However, it's now continued on to service Indian businessmen who can't get home for lunch. Mumbai is notorious for having Asia's largest slum, Dharavi. It's possible to go on a tour of it. However, many people are reluctant to do so for moral reasons, as they feel it's voyeuristic poverty tourism. The actual reality is very different though. The tours are really insightful and dispel the negative preconceived stereotypes that people have. Dharavi is a bustling place full of small-scale industry, and you can even by from the manufacturers there (leather items and fabrics are just two popular things to shop for). Although they're nowhere near as impressive as Maharashtra's famous Ajanta and Ellora caves, the ancient rock-cut caves on Elephanta Island are worth visiting if you're spending a few days in Mumbai. There are two groups -- one Buddhist and one Hindu. The massive main cave, devoted to Lord Shiva, became a UNESCO World Heritage Site in 1987. It has some impressive sculptures and artwork. 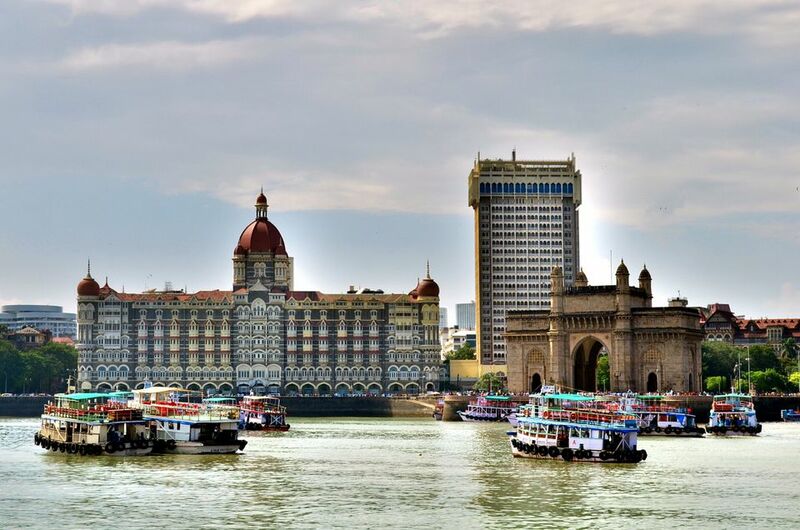 Get there by taking a ferry from the Gateway of India. If you want to venture further afield, there are more Buddhist caves inside Sanjay Gandhi National Park on the northern outskirts of the city. Tours: Private Tour to Elephanta Caves or Private Tour to Kanheri Caves.